Today&apos;s post was hard to write. It&apos;s not hard because of the history of the day itself, but because there is so much misinformation, miscommunication, misunderstanding, and generally just missed chances to bridge gaps in our culture. This day has so much baggage laid on top of it, in multiple communities. I am seeking to find a way through that, so please give me grace if I fail. Today is Juneteenth, the anniversary of June 19th, 1865, when slaves in Texas found out that the slavery no longer existed in the former Confederacy. There were celebrations that continue into today, and in the modern world, forty-five states officially recognize the date as a special day of celebration or a state holiday. The day of celebration turned into something else almost immediately. The celebrating African Americans were viewed with suspicion and hostility by their former owners and other white Americans as during Congressional Reconstruction there was an attempt to reform the South into something it had never been, a society without castes. Juneteenth became known as a roadblock to former Confederate ideals trying to make the South rise again into a semblance of what it had been, and their anger and fear about the changing world was focused more on the local black population than the far-off Yankees. This day resulted over time in much blood and even more pain. 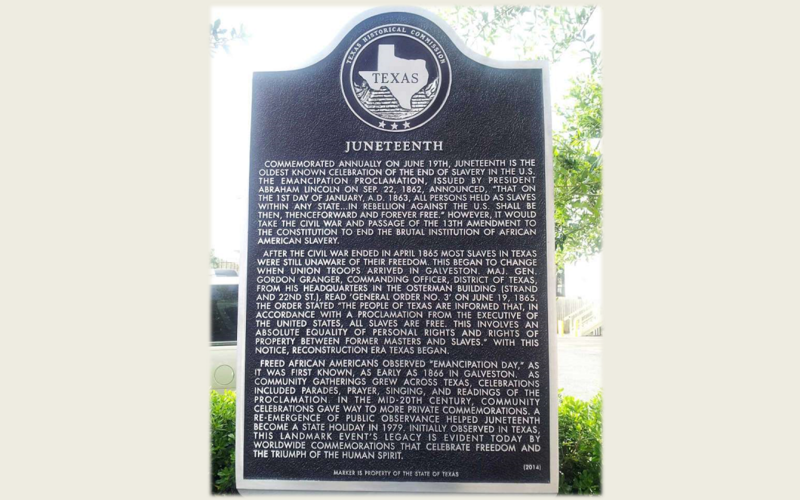 Juneteenth has been relegated to the realm of local celebrations, despite the national ambitions of many, especially the National Juneteenth Observance Foundation, which is seeking Congressional approval for a national observance of this occasion. Unfortunately, this day has become pushed to the fringes for most non-black Americans. I&apos;ve never attended a Juneteenth celebration, nor have I spoken about it with an African-American for more than a passing moment. I would wager that almost all white Americans have had the same experience as me, and even more so, since I didn&apos;t live in the country for many years during my adolescence. I always viewed the greatness of a military brat to be in the nature of adaptation, that we can adapt to many different circumstances and people. This past year, I&apos;ve been Outreach Chair for my county Republican party, and it has changed me profoundly. I have had to adapt. I have not changed my values, or my beliefs…rather, those have strengthened in power. What I have learned is that my way of expressing my values must change. I cannot simply maintain my beliefs and hold that others must change theirs, I must create relationships where we both will learn. To truly reach out, I must move out of my comfort zone, with my friends, my neighborhood, my church, my workmates…and I must move out into the world, where people look different than me, people think different than me, and yet people want exactly the same things as me. Many of the people I have met this past year are different in skin tone, or social status…but they want close families, and loving friends, and protection from evils. They want to own businesses, and make money, and pay reasonable taxes, and so much more. This year will be different, because I have adapted. I will attend a Juneteenth event, that I have sought out to attend, and I will listen with every fiber of my being. I will speak with people, I will share my story and allow them to share theirs. We will build community, and relationship. And we will all come out better for it in the end.